CSKA Moscow avenged its lone loss of the Top 16 and stormed into the playoffs with an 84-52 rout of visiting Partizan NIS Belgrade on Thursday. 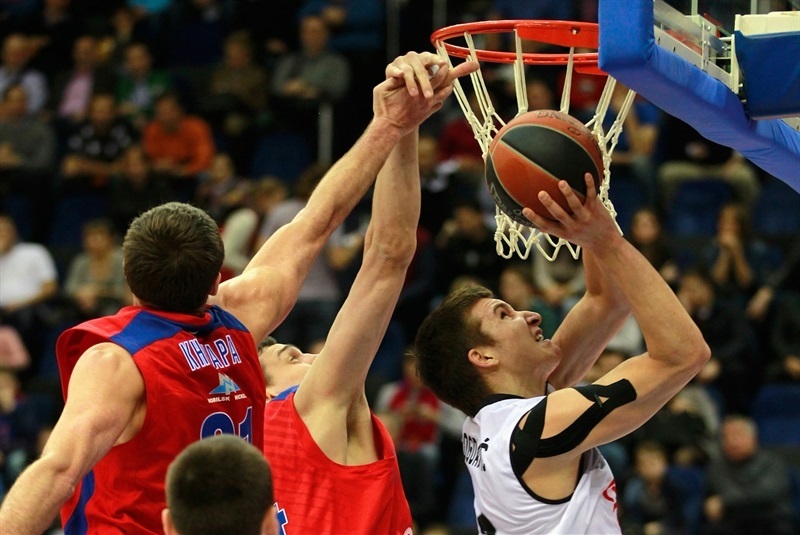 A 16-0 second-quarter run put the game out of reach and CSKA coasted the rest of the way. The victory ensured CSKA at least a share of first place in Group F at the end of the round with a 9-1 record. 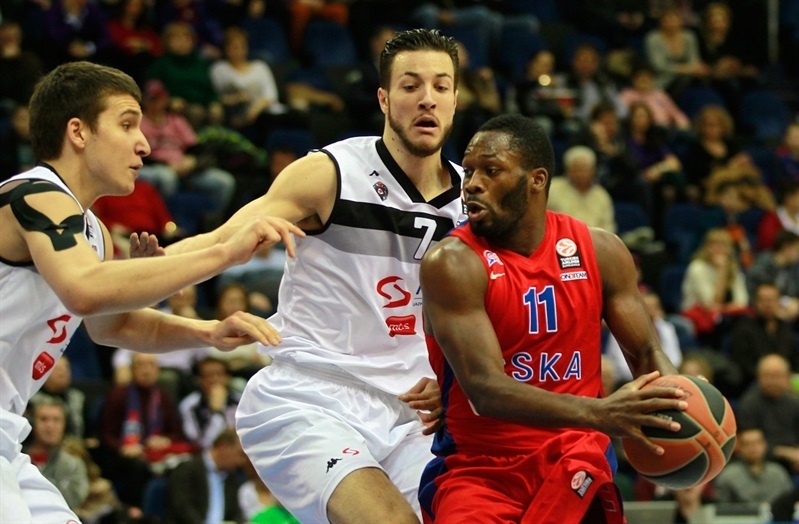 Partizan dropped to 2-8 after getting blown out in the Russian capital for the second time this season. Vitaly Fridzon and Sasha Kaun led a balanced CSKA attack with 13 points apiece and Victor Khryapa contributed 11 points, 4 assists, 2 steals and 2 blocks. 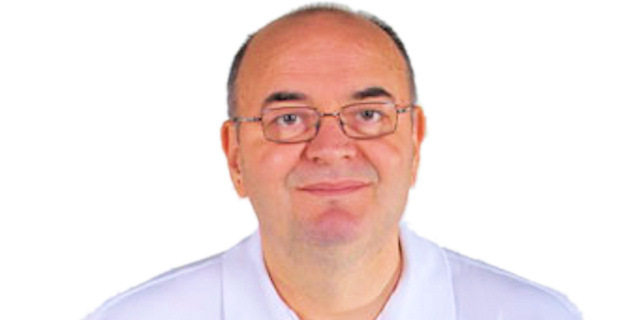 All 12 CSKA players in uniform scored and nine different players dished at least 1 assist. 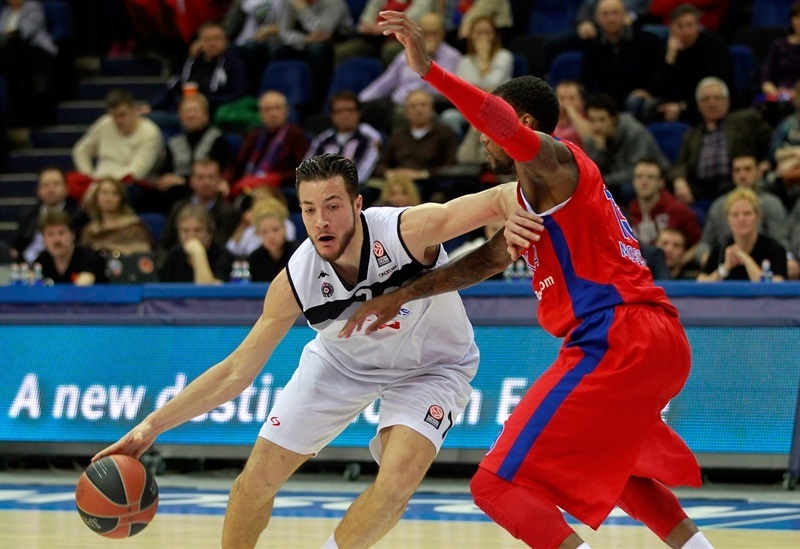 Joffrey Lauvergne paced Partizan’s attack with 17 points and Milenko Tepic added 9 in defeat. Jeremy Pargo stepped into the starting lineup in place of the injured Milos Teodosic. Both teams missed before Khryapa fed Nenad Krstic for the game’s first basket. Lauvergne dished to Nikola Milutinov for a slam to get Partizan going and Lauvergne followed as the visitors took an early lead. Sasha Pavlovic and Khryapa traded triples, before Khryapa scored after a nice assists from Sonny Weems to tie the score at 7-7. Both teams briefly switched to zone defense as Milutinov scored a layup on one end, before Weems buried a three-pointer for the hosts. Lauvergne beat the shot-clock with a short off balance shot, making it 10-11, but CSKA regained the lead with a long jumper from Pargo. Bogdan Bogdanovic got on the scoreboard with a pair of free throws. A Krstic jumper gave the hosts a 16-15 edge through 10 minutes. Andrey Vorontsevich extended the lead with a triple, but the Partizan defense denied CSKA for a few minutes. Dejan Musli’s hook shot brought the visitors bask within 1. Aaron Jackson got on the scoreboard with a three-pointer. Bogdanovic buried an off-the-dribble jumper. Kaun stood out with an emphatic block of Musli at one end and a sweet hook shot at the other to make it 24-20 midway through the quarter. Fridzon added a floater before nailing a triple, after which Partizan coach Dusko Vujosevic called timeout with his team down 9. The stoppage of play did not alter the momentum; Kaun scored twice inside and Fridzon nailed a three. Jackson sank a pair of free throws to cap a 16-0 charge. A Lauvergne slam with 5 seconds remaining in the half ended a five-and-a-half-minute scoreless stretch for Partizan and left the hosts with a 38-22 halftime lead. CSKA picked up where it left off. After a Partizan turnover on the inbounds pass, Jackson darted inside for a floater and Vujosevic burned a timeout just 23 seconds into the half. Kaun gave the hosts a 20-point lead from the line. Pavlovic pulled up for a jumper and Tepic found Lauvergne for a layup. Kaun and Tepic traded points in the paint before Fridzon’s third three of the night made it 47-28. Kaun muscled his way to a basket-plus-foul. Jackson shined with a steal – after which he tiptoed by the sideline – before dishing a pass to Khryapa for a basket-plus foul and a 25-point lead. Lauvergne countered from downtown, but before long a Khryapa triple made it 60-33. 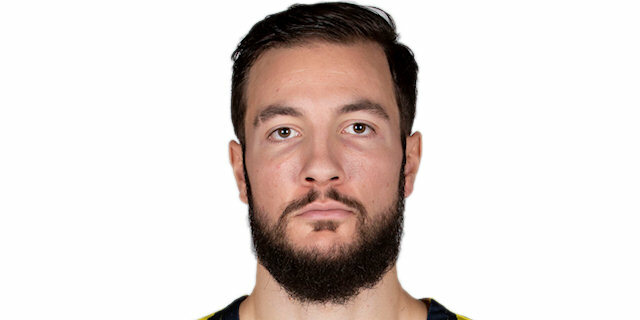 Lauvergne remained aggressive and got to the line for a pair of free throws only to see Vladimir Micov further extend the lead with a three from the corner. Lauvergne rose high for an offensive rebound, basket and foul drawn. Krstic dunked at the other end. Bogdanovic and Pargo traded layups. After Tepic free throws, Pargo’s three-point play gave the hosts a 70-41 edge. Kyle Hines and Krstic baskets put the game completely out of reach. 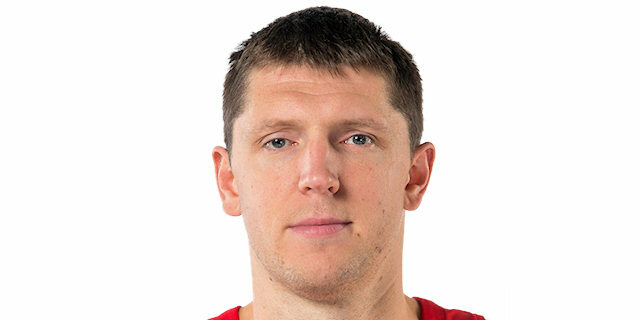 Micov completed a 10-0 CSKA run with a three that made it 77-41. Pavlovic drove for a layup. 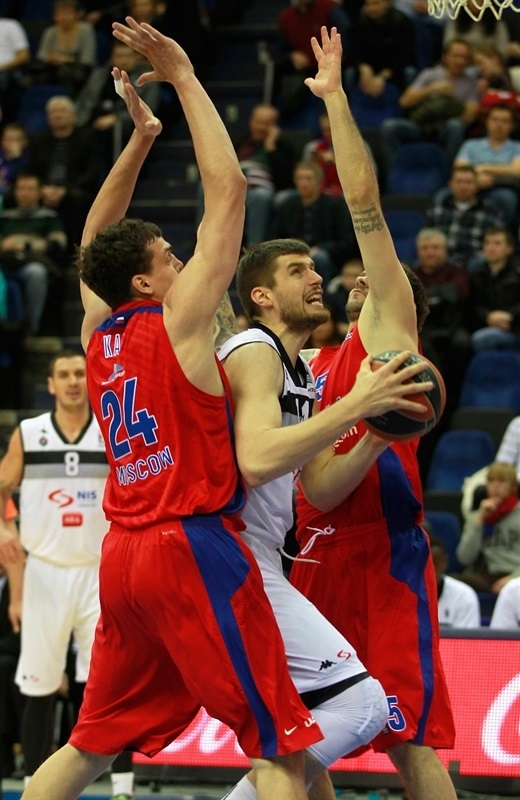 Milutinov soon fouled out and Krstic added the CSKA Lead, which peaked at 80-43. Lauvergne added to his tally and Djordge Gagic scored on the offensive glass. Aleksey Zozulin drilled a three before Gagic made another tip-in. A free throw by Grigory Shukhovtcov with a minute to go ensured that all 12 CSKA players scored in a blowout win that sent the hosts into the next round. "My players deserve my best congratulations. They played hard from minute one and till the final buzzer. They defended very good, intense, active, helped each other. They moved the ball really well, recording 23 assists. Obviously Partizan suffers from changes and injuries, Kinsey did not play tonight, but we have our share of problems. It is never easy to defeat Partizan, which plays hard and is very well coached. Hopefully, Teodosic will be able to recover soon and help us in the deciding stage of the season." "My congratulations to CSKA for a well-deserved victory. I am not satisfied with what our players showed today. Despite the absence of Kinsey and other injured players, despite the facts that we are clearly not favorites in this game, I can’t accept the lack of character, will to fight and self-respect. The difference in quality between CSKA and Partizan is huge, but tonight this difference was also in the approach to the game. I’d like to wish CSKA the best of luck. I am pretty sure that with this focus they will be able to reach any goal. " "The previous loss against Partizan was good motivation for us to beat them this time. It’s the only team that has defeated us in the Top 16. 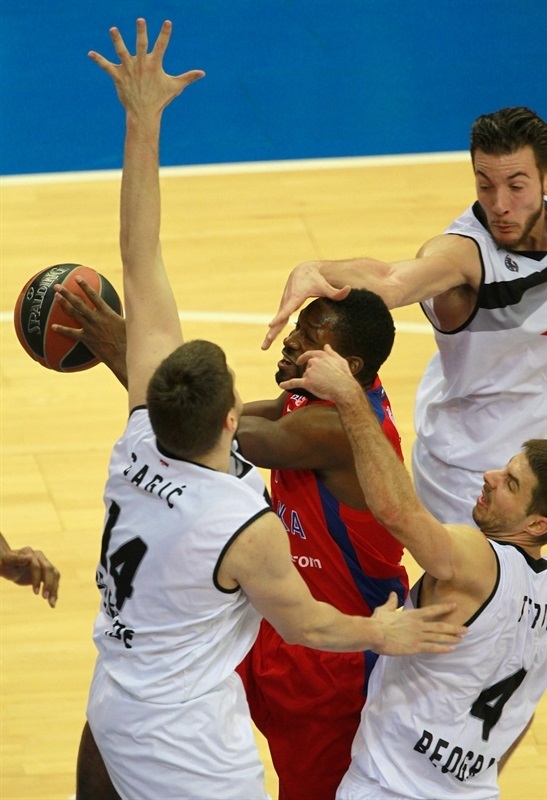 Partizan beat CSKA in Belgrade because of its desire and tactics. Partizan is different at home and away. At home this young team is ready to run and shoot as much as they can. Away they need to play more classical, set basketball, which is not characteristic for them just because they are young. " "We started the game really well. And after the middle of the second quarter we showed bad basketball. That’s why CSKA made a big difference and we could not come back. Then we played even worse in the third quarter. Our main problem is the absence of defense; we also made wrong choices during parts of the game. It was much easier for us to play CSKA in Belgrade. "